For the third year running, SWEATY BETTY is our official apparel partner for We Dare to Bare, and they'll be providing the amazing sports bras you’ll be wearing on the day. Founded 20 years ago in Notting Hill by Tamara Hill-Norton, they are on a mission to empower women through fitness and beyond. Because we know you'll love the sports bra you’ll be wearing at We Dare to Bare, Sweaty Betty is on hand with an exclusive retail pop-up. You’ll find their new collection, bum-sculpting leggings and a photo booth for any post-sweat selfies. Drop the photoshop and say goodbye to having to snap that perfect selfie. Because at We Dare To Bare, we're setting the stage so that you can reveal your most authentic, most natural you. This year, we’re going Super Natural and partnering with SPLENDA® Naturals to help you take simple steps toward becoming your best self. Swing by the SPLENDA® Naturals exhibition to get your fill of positive vibes at our Super Natural Intention Wall, where you're encouraged to leave an inspiring message on why you're daring to bare. Then get your pre-and post-workout fuel from our DIY yogurt bar, where you can choose from an assortment of toppings including: artisan granola, fruit compote, peanut butter drizzle and more. That should be enough to explain why we’re loving SPLENDA® Naturals, but there’s more than what meets the eye with this sweetener. Beyond being made from stevia, without that yucky, bitter aftertaste, it’s 100% natural just like us. And their team aims to empower people to become their best selves with low calorie sweeteners as a tool to maintaining a healthy, balanced lifestyle. With SPLENDA® Naturals, people can enjoy the sweet things in life, without the insecurities that sometimes come with them. Back for their second year, LUNA is not just changing the game by making nutrition bars that are suited specifically for women and our health, fitness and snacking needs, but by doubling-down on women’s rights issues that protect our future, like the gender gap in equal pay. They inspire us and they’ll inspire you! We Dare to Bare allows us to conquer our insecurities, but that’s not the only thing we’re crushing. 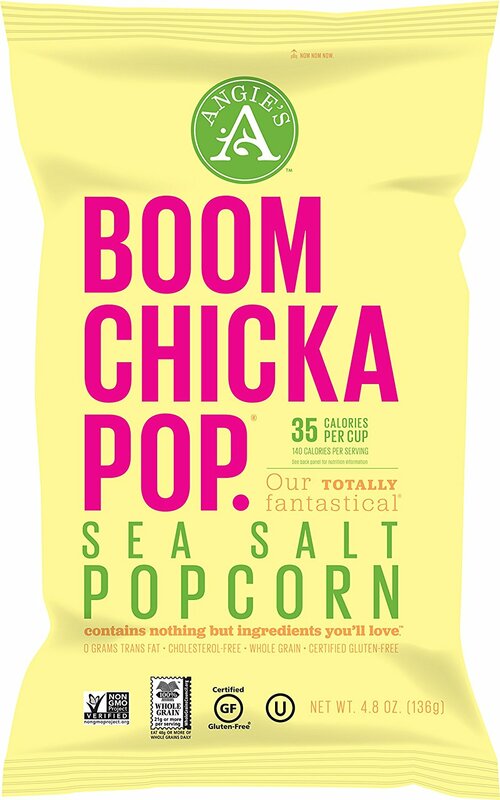 With ANGIE'S BOOMCHICKAPOP, we’re crushing bags of hugely flavorful, better-for-you snacks made with real, simple ingredients including non-GMO, whole grain popcorn and it’s gluten-free! Grab a taste of our fave flavor Sea Salt popcorn which at 35 calories a cup is guilt-free goodness. 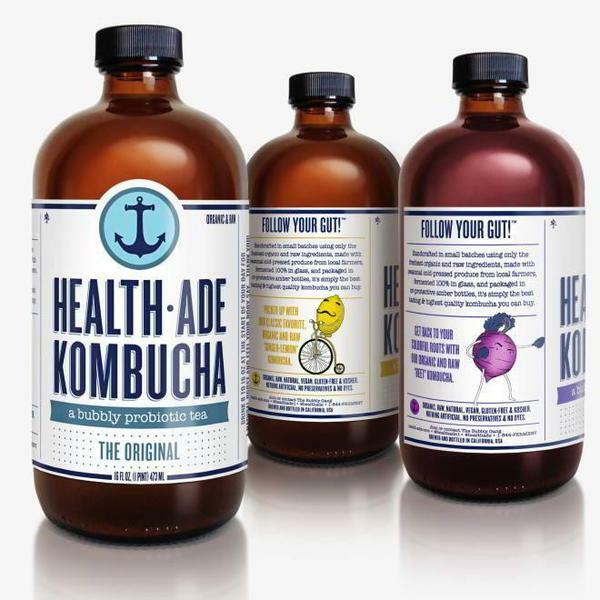 Health Ade Brings the Bubbly To You! Need a little refreshment after your workout? Visit the HEALTH-ADE booth for a taste of organic, cold-pressed juices that flavor their deliciously small-batch kombucha brewed in specially-designed 2.5 gallon glass jars! Find out why fans think Health-Ade makes the best tasting and highest quality kombucha out there. Rebbl Brings Super Herbs to Super People! Complement that with a super tasty coconut milk elixir infused with your favorite herbs like turmeric (peace out, inflammation!) or maca (hello all-natural energy!). Created by the folks at REBBL, these tasty drinks will go down the hatch faster than you can say Barry’s Bootcamp. Bare Bowls Makes Acai Ah-Sigh-Awesome! There are just some companies that are committed to helping others, and MCGUIRE REAL ESTATE, homegrown in the same backyard as us, is one of them. Dedicated to making sure the lives of San Franciscans are healthy and vibrant, McGuire’s team will be on-hand to teach you about how they’re helping to keep families on a happy life path. Did you sweat out your blowout after a SoulCycle ride but feeling more beautiful than when you started? Yeah, us too. We’re always feeling strongest and happiest after working out, but we’re aiming to keep our post-workout glow. And the thing we turn to for us to sustain our glow is APRES, a replenishing protein drink blend. Grab one after your workout! We Dare To Bare San Francisco wouldn’t be complete without a technologically-advanced engineering marvel—an activity tracker of the future by MOTIV—that blends in to your everyday wear by being small and luxuriously beautiful. 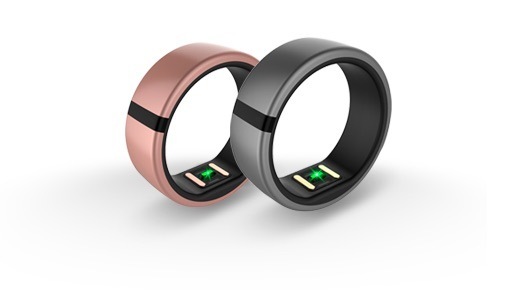 See it for yourself, this ring is the perfect combination of form, fit and function that tracks activity, sleep and heart rate. If you’ve heard about SIREN SNACKS, you’ll find that much of their mission is simple and the same as ours: to create a healthier world. So they are whipping up protein bites are organic, vegan, non-GMO and gluten-free. 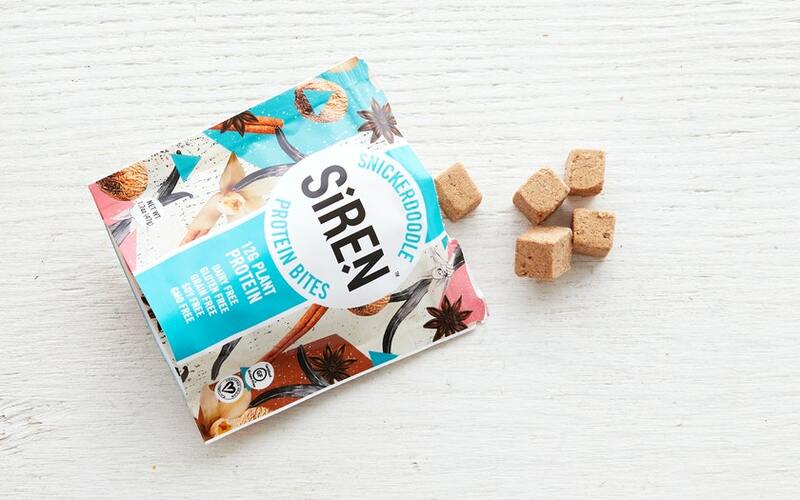 They’re making the next generation protein snacks (and they’re cookie dough and snickerdoodle flavored!) and we’ll have them ready for you to taste! You’ll find chic looks that are perfect for Sunday yoga and Sunday brunch! Plus, every sale of every piece of apparel gets reinvested into our impact programs, so get your tanks and shirts while they last!